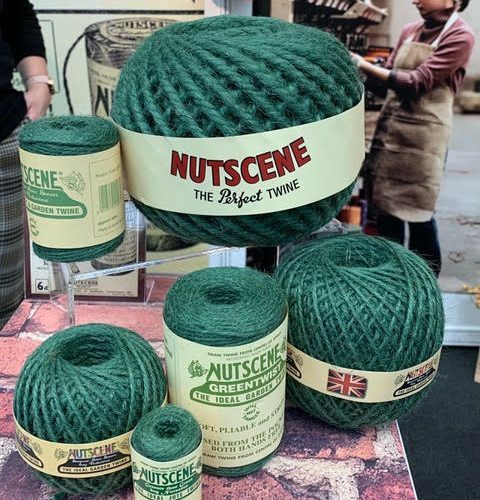 Here’s just a few of the highlights from previous Malvern Shows which will give you an idea of what to expect from future shows. 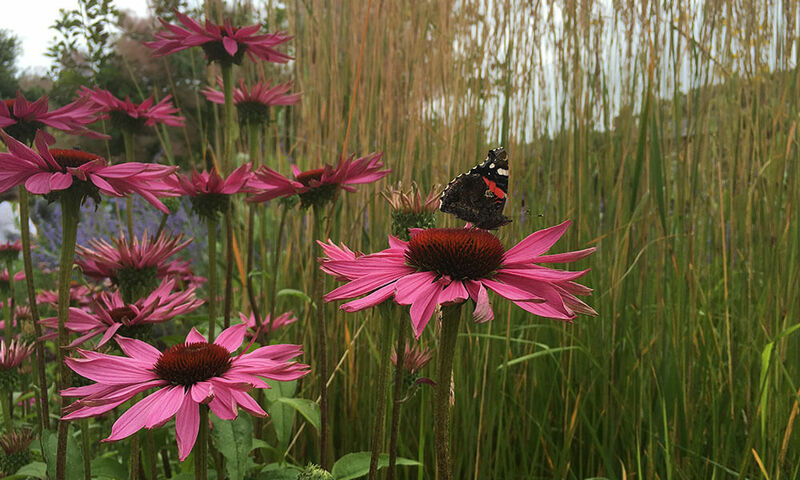 I love the Malvern Show – it’s the first big show of the year and everything seems fresh and new, and there’s a real frisson of excitement about what I will see, who will be there and what will prove irresistible. I had enough time to explore most corners and take some photos of some of my favourite things. 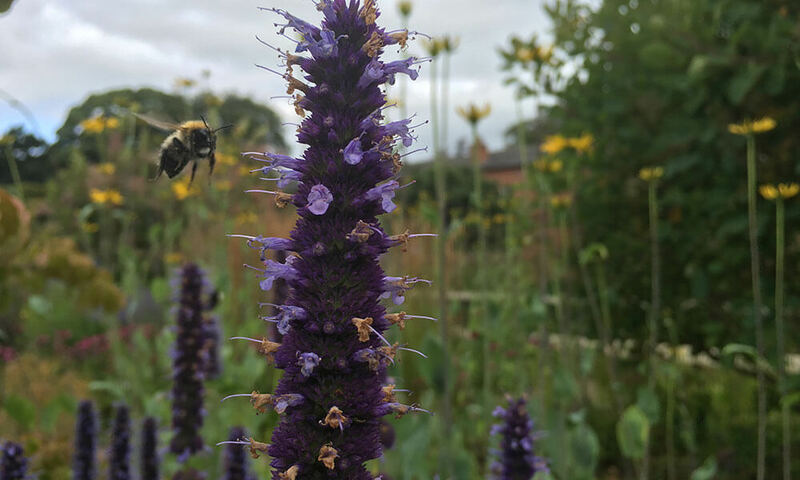 For the record, I bought 2 decorative metal tepees; an amethyst coloured camassia from Avon Bulbs; red and green perilla, Turkish rocket, Lemon Basil and Provence and Tuscan Salad Mix seeds from rebekah’s veg and a Chilean guava and a prostranthera from Jekka McVicar. 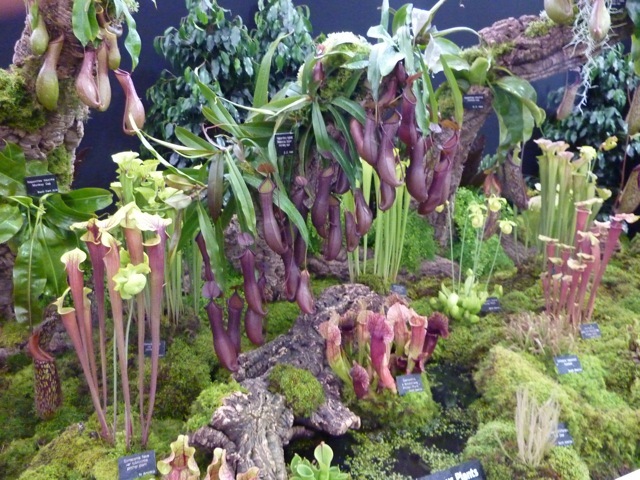 The Hampshire Carnivorous Plants stand was extraordinary: not the sort of thing for your average garden and really rather menacing – but fabulous too. The impressive salads from Rebekah’s Seeds. 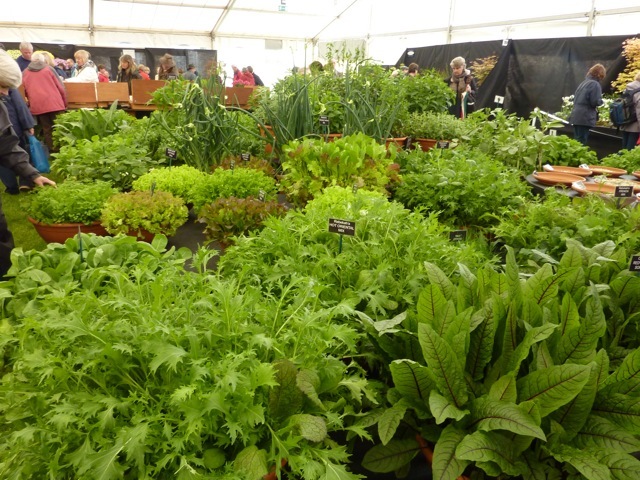 A favourite new discovery was Rebekah’s Seeds where the stand was a jungle of lush green edibles. I’m looking forward to growing and reporting on my purchases. 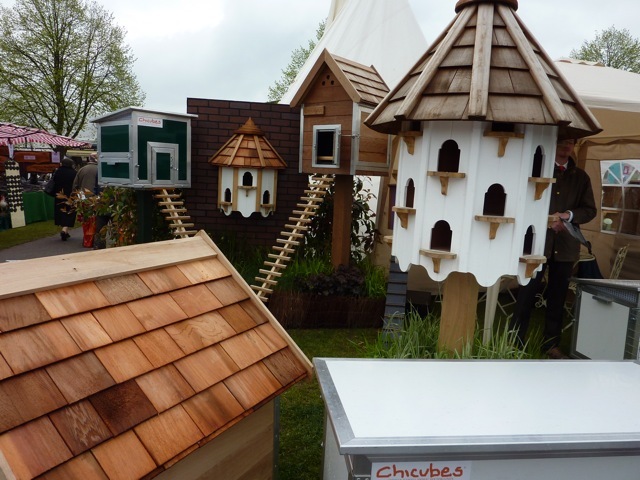 As well as traditional dovecotes, Chicubes make rather wonderful henhouses, including some mounted on posts. The company has linked up with a battery hen rescue organisation and each chicube comes with its own ex-battery chook. Eggcellent! 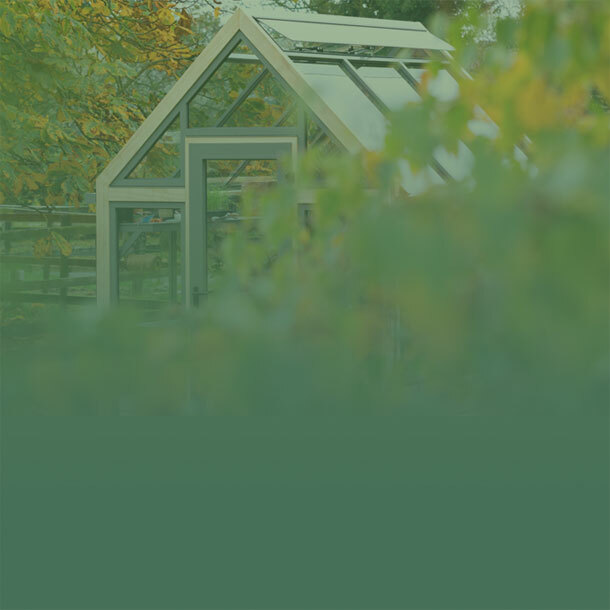 I already have a lovely Gabriel Ash greenhouse but it didn’t stop me coveting this one. Especially when I opened the door and was engulfed in the scent of cedar. I think I could live in it. 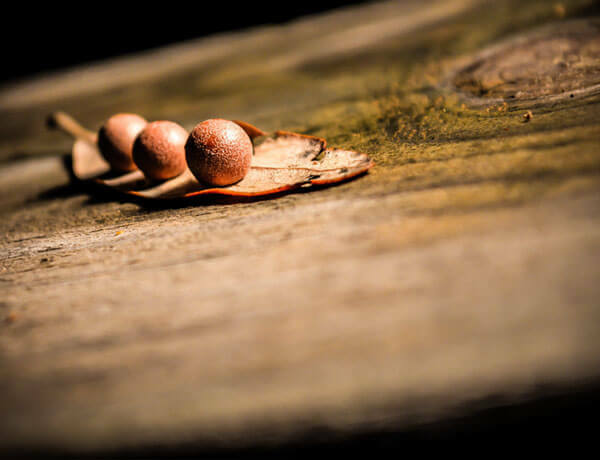 The Hardy Plant Society always manages to find something unusual to catch my eye. This year it was a tiny magnolia called Magnolia laevifolia ‘Minnie Mouse’. 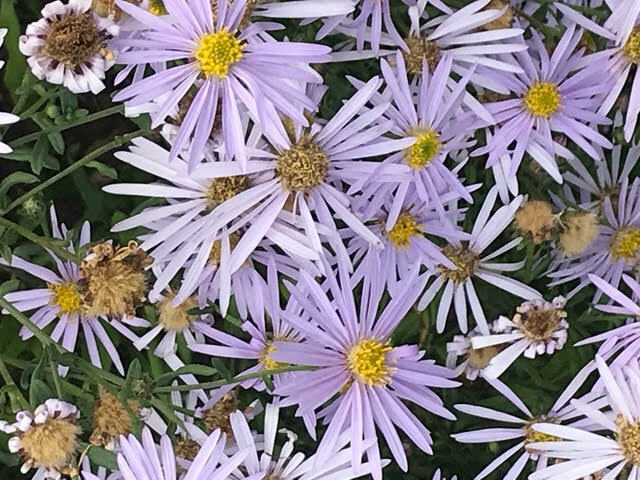 It has fairly sparse leaves (at this time of year anyway) and delicate creamy-white flowers. 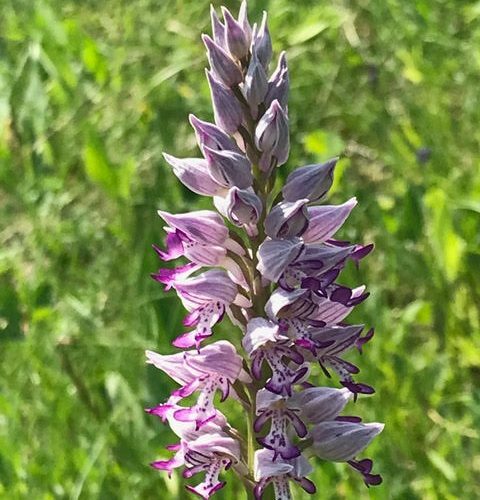 Although it doesn’t appear to be commercially available at the moment I suspect that if it proves to be garden-worthy it will be one to watch out for. 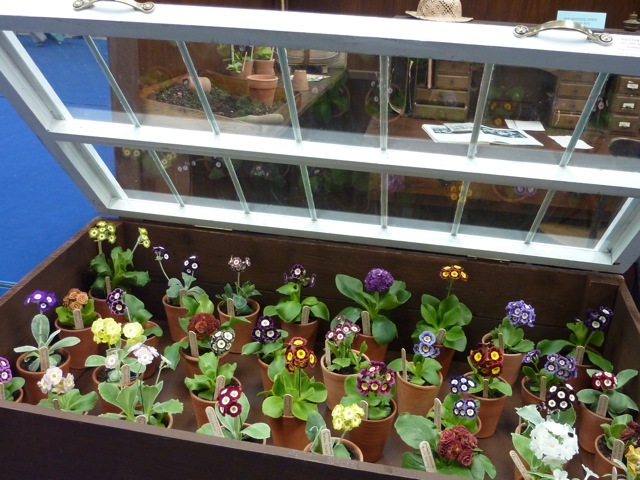 There were a number of stands selling fine selections of auriculas but the display that got my vote was The National Auricula & Primula Society’s . 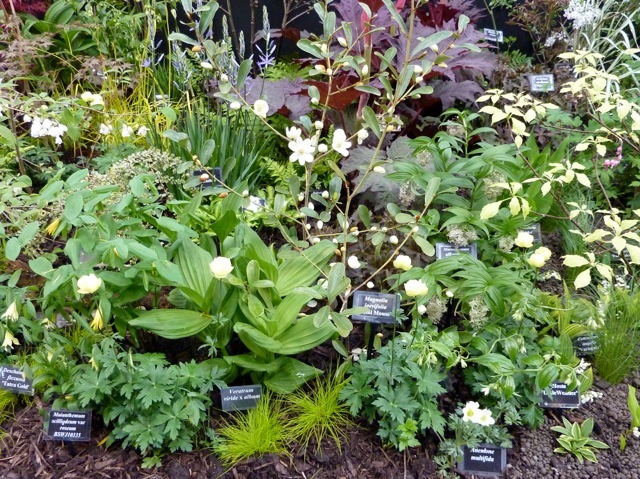 It had a wonderful recreation of an immaculate potting shed and a frame of jewel-coloured auriculas. 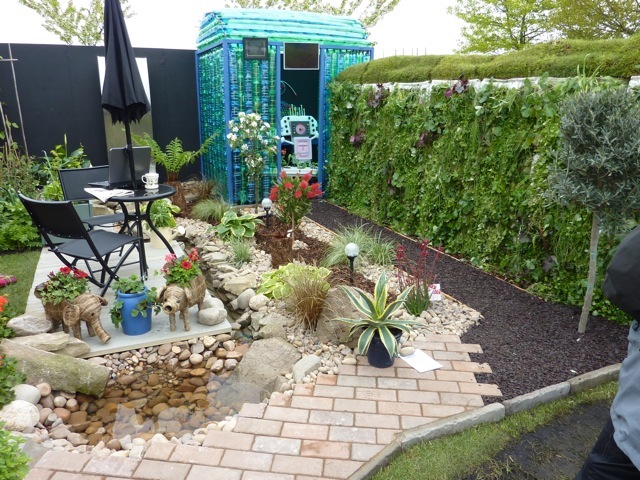 The quality of the show gardens has improved enormously in the past few years as this garden created by 3 designers to mark Malvern’s 25th anniversary illustrates. I particularly liked the screens which were a nice contemporary twist on rustic hurdles. 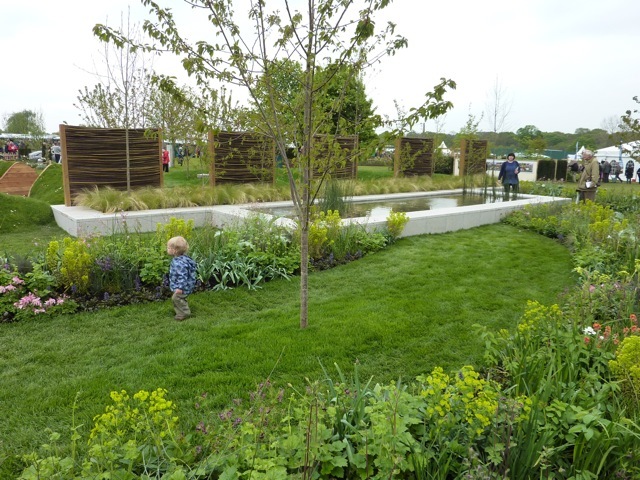 Children were stretching their imaginations to devise gardens of the future. 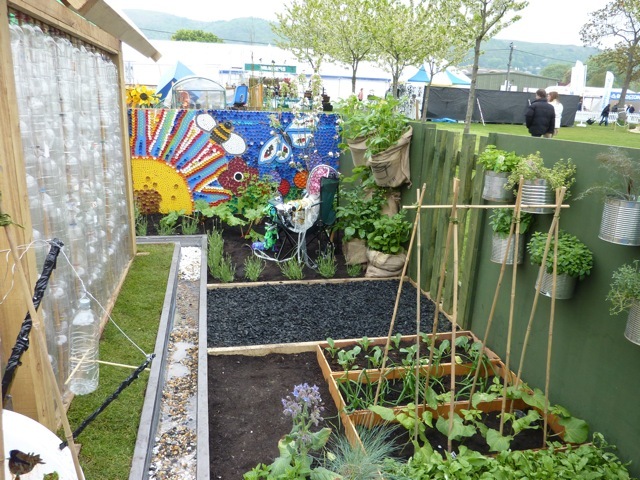 There were some great recycling ideas and clever planting and the youngsters were keen to explain what they had done. 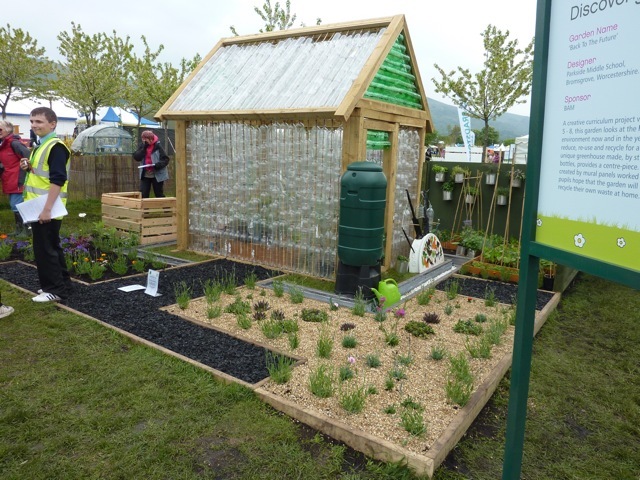 The plastic bottle greenhouses and the planted wall were among the highlights. I particularly liked this garden entrance. 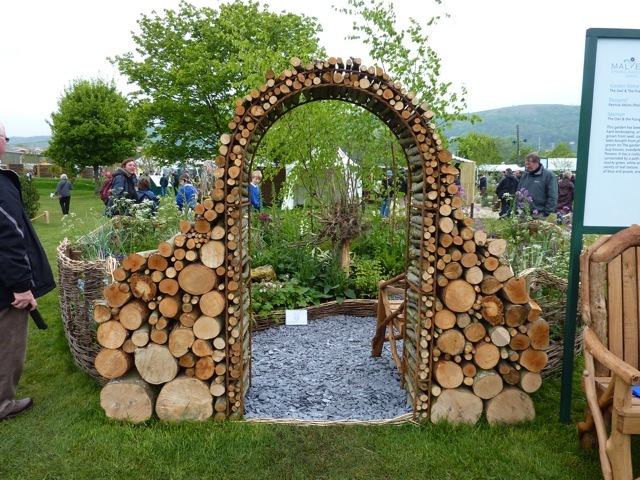 A simple metal framework was used, surrounded by logs of varying size, to make a really striking arch. 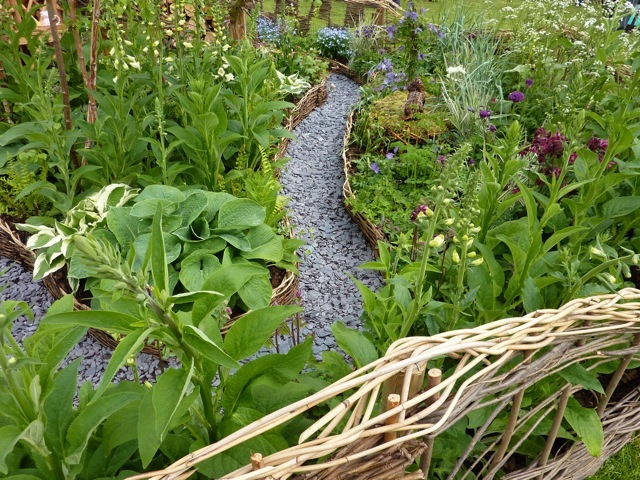 The curving slate path within was contained by a woven willow edging. 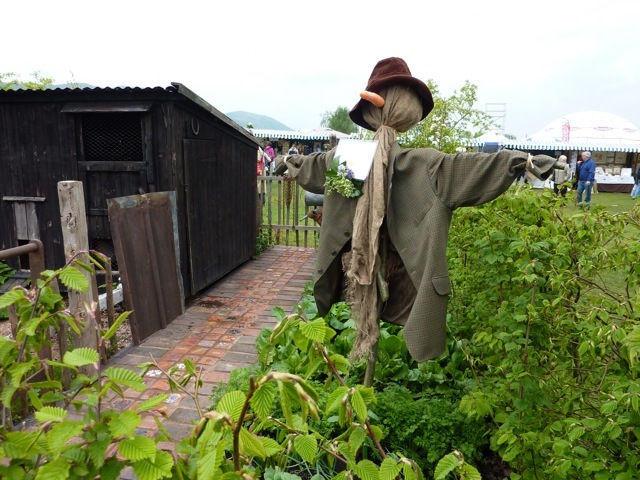 This lovingly recreated cottage garden had it all, from a scarecrow to a henhouse complete with hens. All neatly framed with hand made willow edging. Willow is great for shaping and you’ll be sure to see other structures in willow like this Sculpture at Chelsea 2010 or these willow animals at Hampton Court 2010. 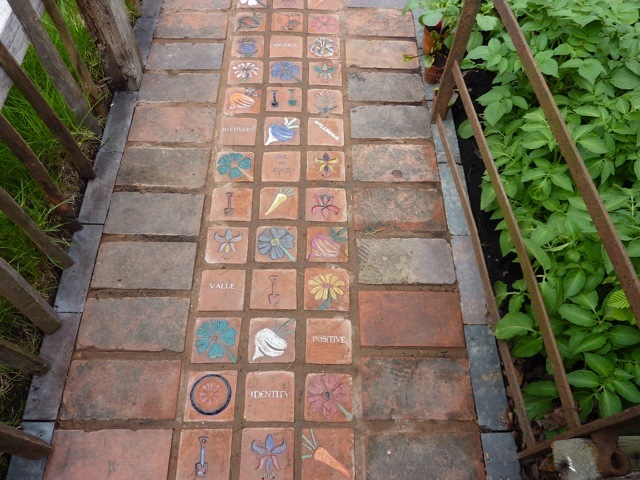 The tiled garden path reflected the work of its designers the Birmingham & Solihull Mental Health NHS Foundation Trust which has an allotment project which focuses on recovery and wellbeing. 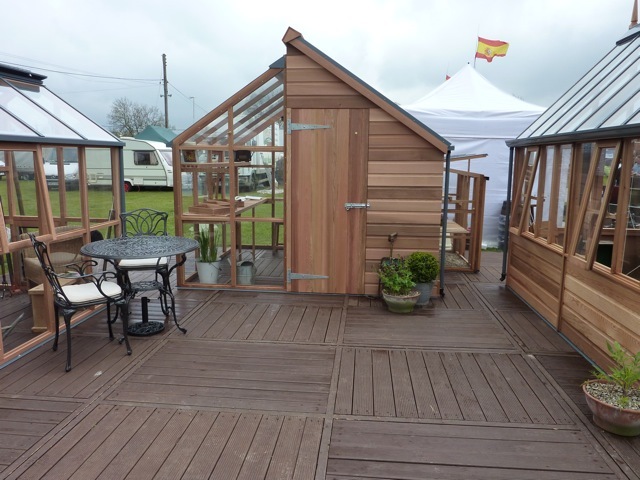 Read more about the Malvern Show.